Smith was beaten in last year's Premier League final then was the runner-up at the World Darts Championship, with Van Gerwen claiming both trophies at his expense. 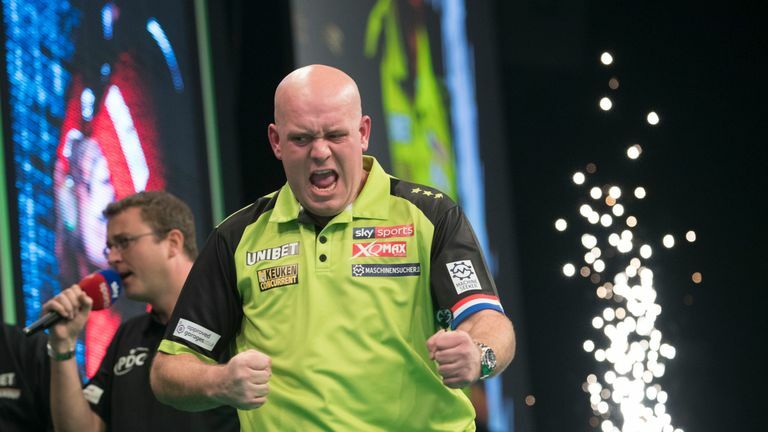 Van Gerwen, last Thursday, beat Smith on the opening night of this season's Premier League but they could meet again down the line if they both make the play-offs. "He and Gary Anderson are the best two players but I just chip in every now and again," Smith said. "[Me and Van Gerwen] are the same age, 29, so we've got another 20 years of competing against each other. "I just hope he doesn't get the better of me every time." "2018 was good but I want 2019 to be even better - and not to keep losing in the finals! "Start winning. For five or six years I was crawling but I should have been walking. Now I need to start running, and do a Usain Bolt. "It's that last jump. To make the final was a big achievement. I've still not sat down and thought about the World Championship final. To look at my trophy makes me a bit depressed. "They made me touch the Premier League trophy for a photo shoot which I was a bit annoyed about, because I've jinxed it!" 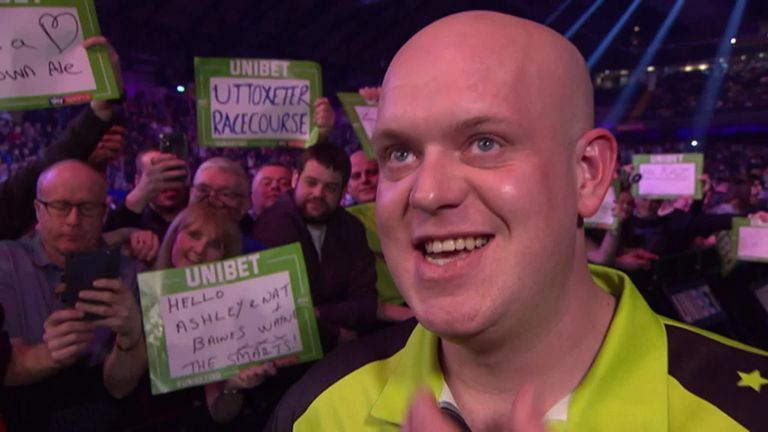 Van Gerwen ominously has topped the Premier League table six years in a row ahead of the play-offs, and has won the overall tournament three times. He accepts that Smith is the latest challenger to his dominance, and said: "That's what you get, isn't it? I created it myself by doing really well. I don't care. "If you win the table it means you have been the most consistent. But the main target is to win the tournament, that's all that matters."